Getting an upper hand on the data for businesses with multiple locations can definitely be a significant challenge. When it comes to managing local listings, there is a direct relation between the total number of listings which you manage and the amount of cursing, grumbling and hand-wringing which you do. 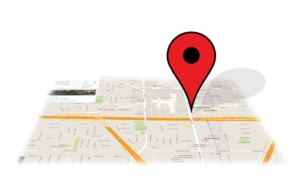 It is not at all an easy task for the enterprise brands to get their location data in a systematic order. Playing with the information for thousands of locations can soon become overwhelming. There are steps that enterprise brands can take to tame this location problem. Here are some steps to take into account. Perhaps the biggest challenge for the enterprise brands who are trying to handle their location data is the outrageous number of sources from which their location data come from. A large company will usually have more than one database which comprise of different elements of location data from various departments like shipping, accounting, legal and so forth. When all this data meets the personal needs of the department which it comes from, it is highly unlikely that the data meets the tough quality standards of Google and the other search engines. In other words, the location data is not actionable beyond the original purpose. The second major obstacle which the enterprise brands should overcome while cleaning up their location data is the general resistance to change. While a corporation starts managing their local listings and their social media accounts, franchise owners and individual store managers often get reluctant to exercise control over such accounts, particularly when they’ve been managing them since the first day. Once you’ve attained corporate buy-in and you’ve explained the ongoing changes, the next step to take is to combine your location data before starting the process of standardizing and cleaning it. Their goal is to gather the location data into a single database and organize it as a single truth source for round-tripping the data back to different departments so that they work with updated and accurate information. There is enough importance of automating the process of local listings. Although brands with few locations can get away with running the location data manually but this is not possible with the enterprise brands. As soon as you throw a few thousands location in the mix, the location gets so complex that it becomes a nightmare.